I’ve noticed on the ‘ole wedding blogosphere that Indian brides have a penchant for Jimmy Choos (or Jimmy Choo-esque) heels when it comes to the big day. There are lots of exciting alternatives (not that I’m saying there’s anything wrong with Mr.Choo!) and in today’s wedding Wednesday I’m sharing the work of some other exciting designers. 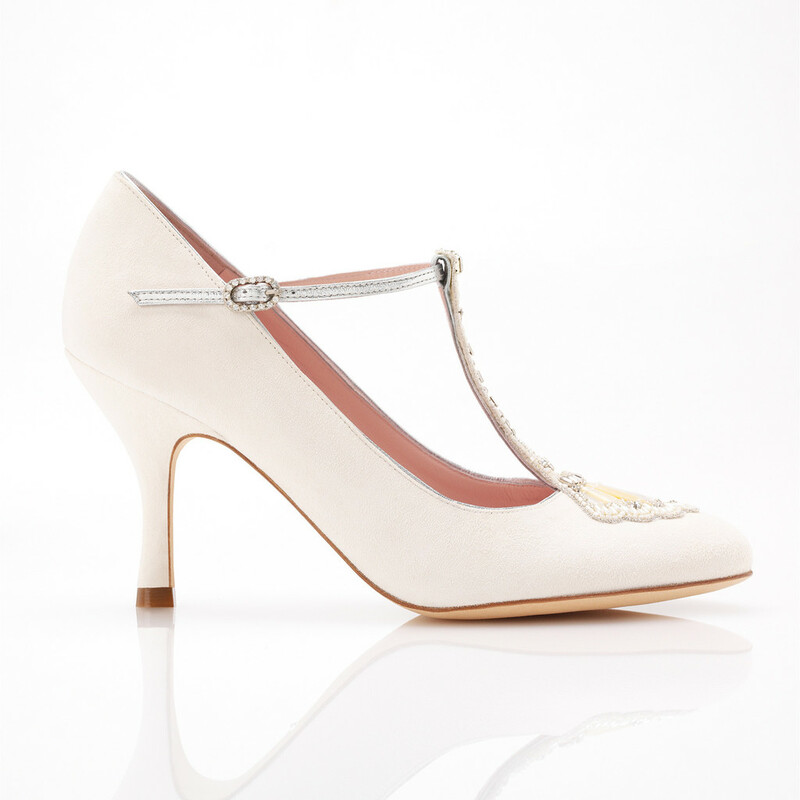 Ruth Shaw the designer behind the label only designs wedding shoes and the collection is known for its quality and vintage feel to the designs. 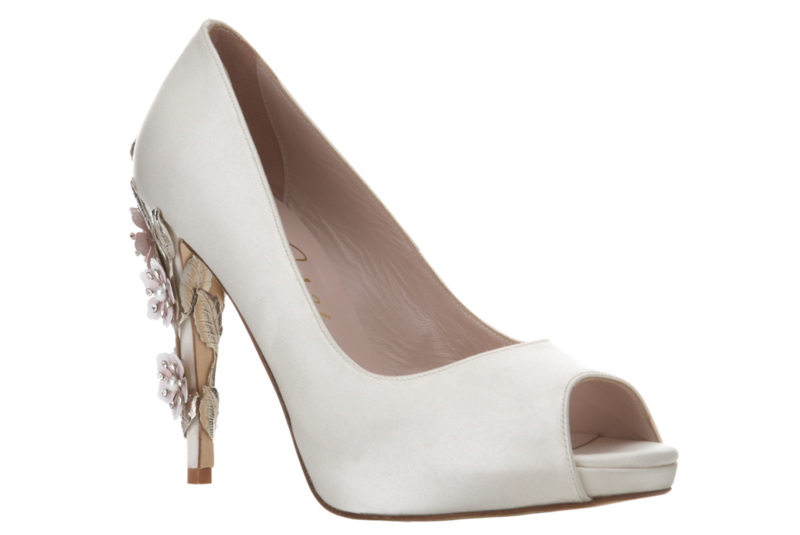 I’m smitten with these Sakura B Pumps with metal flowers on the heel. I love this pretty lace version of the classic Farfalla and the other fab thing is that she offers several of her styles in a high and low heel. 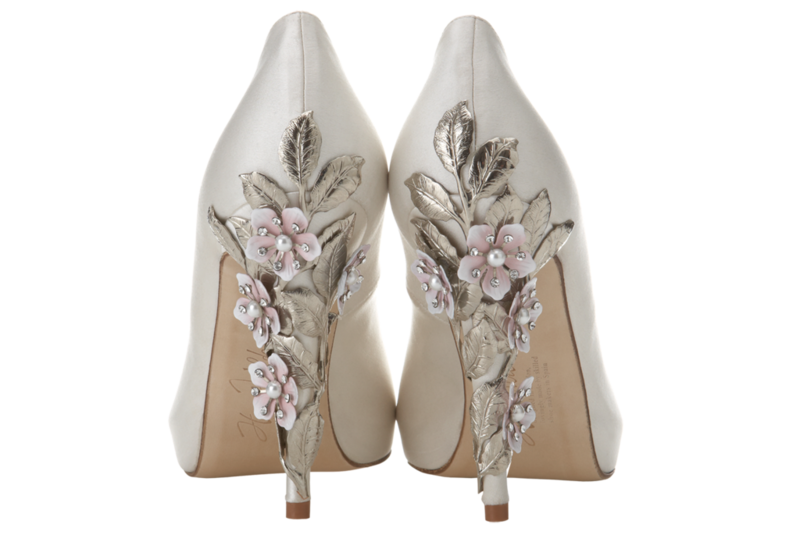 Esp great if you’re either not good in high heels or like me are the same height as the Mr.
All of Emmy’s collection is soooo pretty esp this pretty pump with 20’s art deco-esque detailing. Charlotte Olympia is one of the hottest Brit talents out there. 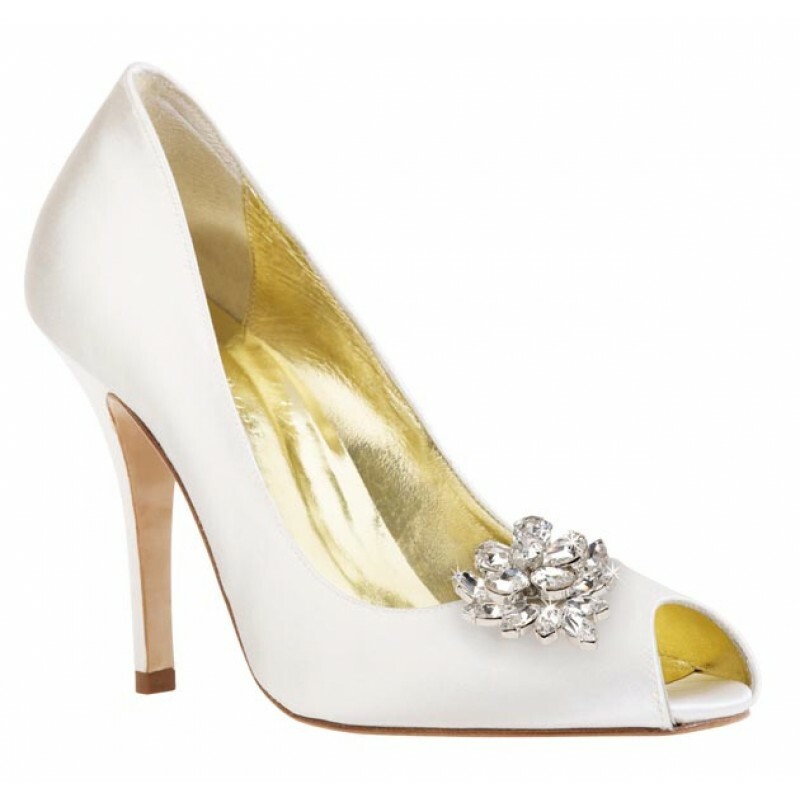 Her Runaway Bride collection is for the bride that’s looking for something a little different and this pair def makes a statement. 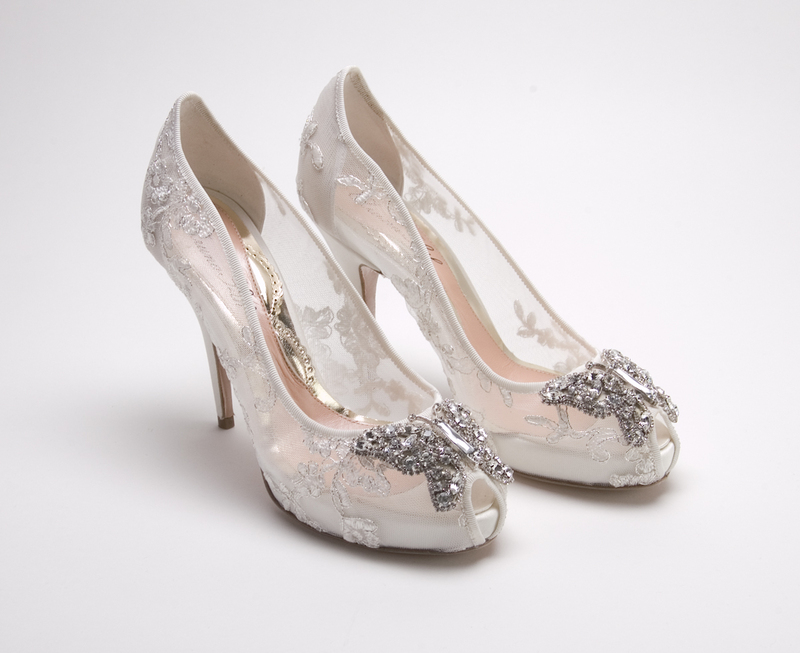 Freya Rose has a large collection of Bridal shoes and accessories. 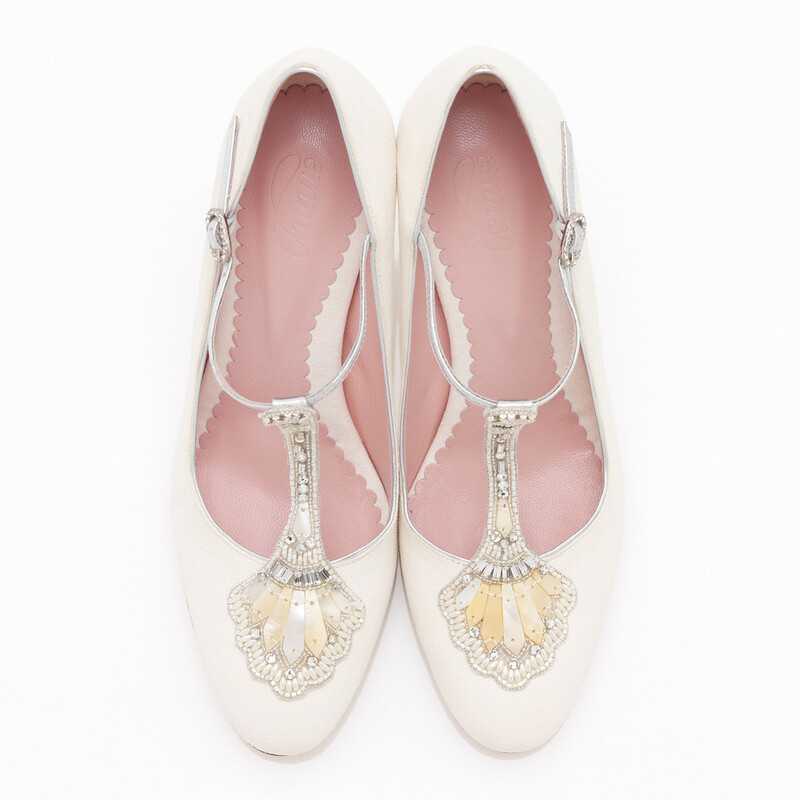 They also have these shoe clips, were a rose or bow can be clipped onto your plain pumps to make them more bridal-y. 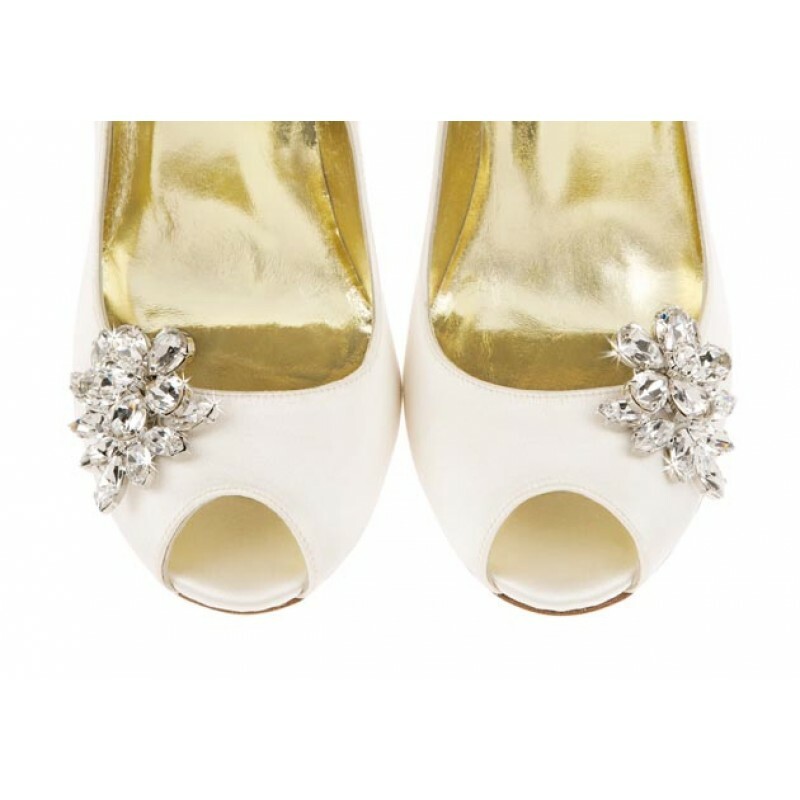 Images: Charlotte Olympia website, Aruna Seth website, Harriet Wilde website, Freya Rose website and Emmy website.